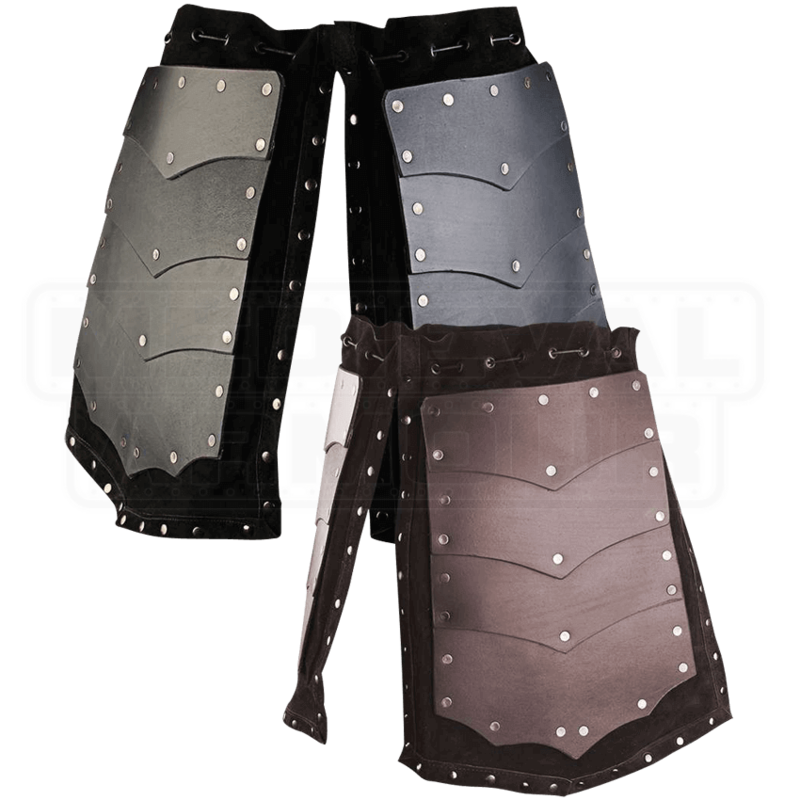 Complement your fearsome leather armour outfits with the Rasmus Tassets. These tassets feature layered angular leather panels riveted to a matching suede underlayer. Rivets adorn the edges of this underlayer, adding additional style to this piece. Adjust the tassets with a cord at the waist, laced through eyelets for a customizable fit. Combine them with the Rasmus Armour Jacket (MY100333) for a complete, battle ready look suitable for any dark warlord. 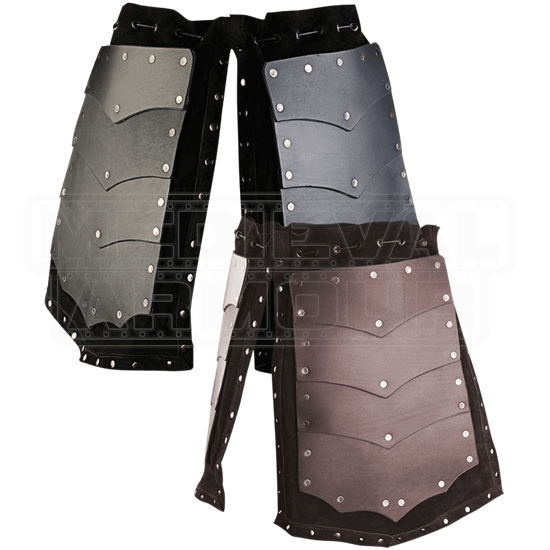 Please be aware that these tassets require a cuirass with eyelets or loops at the base to wear. A cord is not included. We recommend leather lacing for a proper, secure tie.